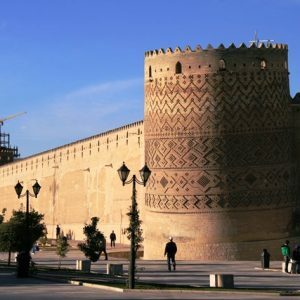 Shiraz is a unique city in history, culture and nature. Having one of the most important attractions of the world i.e. 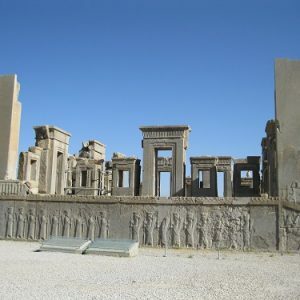 Pasargadae & Persepolis and Being the birthplace of the greatest poets such as Hafez, Saadi and Khajoie Kermani are the proof of what we claim. A city with beautiful gardens and unique flora. In April the air is heavenly with the scent of orange blossoms. Because of this, shiraz is known as the city of flowers and gardens. There is nothing more peaceful than sitting in one of the rooms in an afternoon reading Hafez famous book (Divan) and listening to the whisper of the waterways and birds singing in the trees. The smell of tangerine and jasmine blossoms will blow your mind away. Shiraz was the capital of Persia during the Zand dynasty from 1750 until 1781 as well as briefly during the Safavid period. It has a moderate climate and has been a regional trade center for more than a thousand years till present. 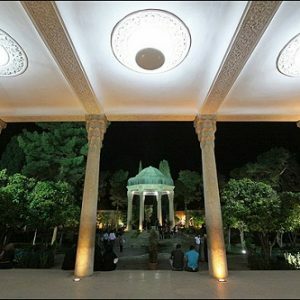 Shiraz is best known for Pilgrimage Tourism because of mausoleums like Shahe Cheragh Shrine – Visiting the shrine gives you a serene and peaceful feeling. It will be a new and lasting experience for any visitor. 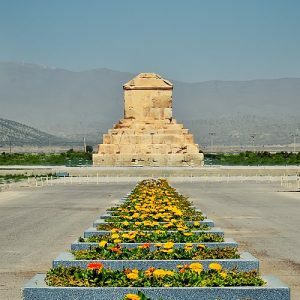 The memorial city of Cyrus the great, the birthplace of Persian empire and the first Achaemenian capital. Pasargadae as the fifth UNESCO world heritage site of Iran and was composed of Cyrus the great tomb, Mosque, Garden, Darvazeh Palace, Baraam Palace, private palace and some other structures that at present just the tomb has been remained. It is located in 125 km of shiraz. Takht-e-jamshid or Parseh. It is the name of Iran ancient city that had been the glorious capital of Achaemenian kings and where the king Dariush chose it to built Takht-e- jamshid palace as a place for his ceremonies. It is located in 57 km of shiraz and was inscribed as UNESCO world heritage site in 1979. His tomb is a masterpiece visited by many tourists from all over Iran and different parts of the world. A delighted garden is laid out around the tomb , A white marble baldachin that covers the tomb stone and on which some of the poet’s verses are engraved in elegant Nastaliq and finally fa’l (an augury ) by opening the Diwan-i-hafiz provides a spiritual atmosphere that will take you to a totally different world. . During such a moment the visitor may perhaps recall the beautiful lines written by the last classical poet. The Arg of Karim Khan or Karim Khan Prison was the residence of Karim Khan and where he ruled. It is the biggest and the most important building of the Zand Dynasty. The citadel is located North-East of Shiraz. Its shape resembles a medieval fortress. Karim Khan was the founder of the Zand dynasty that ruled Iran from 1760-1779 AD. As one of the advocates of the development of Iran, he chose Shiraz as his capital during the Zand period when the city witnessed the peak of its prosperity. In this period, many buildings including mosques, water reservoirs, citadels, bazaars and caravansaries were built, many of which are still standing in Shiraz.